Bond Street, Green Park tube stations. 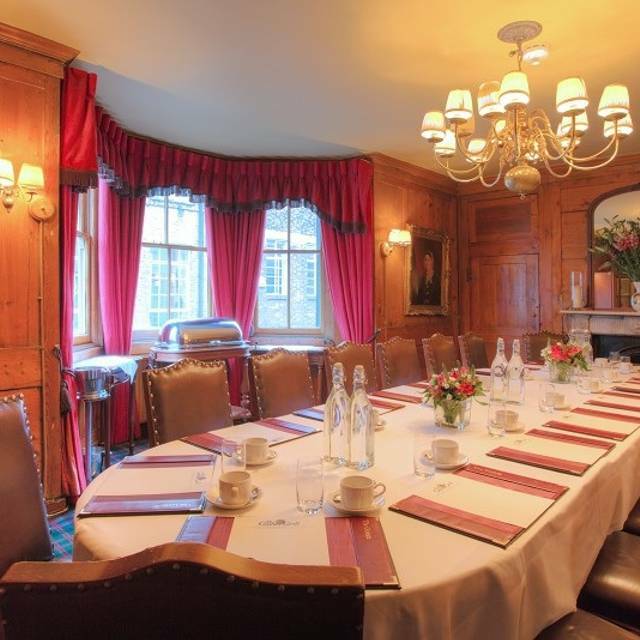 Our private dining room, the Boardroom, is an atmospheric antique pine panelled room where 22 guests can be seated around the oval table, or 28 guests around 3 separate tables. At the Guinea, we specialize in serving you the finest aged, grass fed English and Scotch beef. We are founder members of the Scotch beef Club whose president, Princess Anne is a passionate supporter. The Guinea also enjoys a huge following for steak pies. We have been National Steak pie champions no less than 3 times. We don’t ignore fish and seafood lover’s either and offer you a quality selection. The Guinea is unique in that the restaurant and private dining room is housed with the walls of one of London’s oldest pubs established in 1423. This means that not only do we offer you a fine selection of wines, particularly Claret and Burgundy, we also serve Young’s award winning ales. Respected restaurant guides like Hardens, Zagat and the Good Food guide nearly always remark on our warm and friendly service. Acclaimed food critic Giles Coren also placed us in his list of top 50 favourite restaurants in the UK (The Times January 2014). Excellent food and service. Wonderful wine to accompany. Old fashioned service such a pleasant change. Will be back very soon. Great pies but the format has changed in recent years as they are now served in a dish so its only pastry on the top and not the sides . Maybe for health reason that makes sense. Wonderful ale house. Super place , lots of charm with a fantastic original pub and small rear restaurant which has a lovely buzz. Traditional but well cooked and very good feeling about the place . In a news just off Berkeley square with lots of space to stand out side in good weather. Second visit. This time we were very squashed up having asked for a specific table which I later noticed was empty. I also asked for extra potatoes and fewer parsnips. I got three potatoes and a huge plate of parsnips. The wine was vastly overcharged. These issues got sorted out but I needed to complain first. It's expensive for a Sunday roast but worth it when they do it properly but this time they didn't. This was many due to poor service. I love the Guinea, I must have been 10 times, they have the best steaks and pies that you could wish for. Great beers and wine selection and very knowledgeable staff. I do wish they would improve the gent’s toilet, it is not fitting for such a nice place. Everything was excellent. You get what you pay for - so not a “bargain” but wonderful steak at appropriate price. 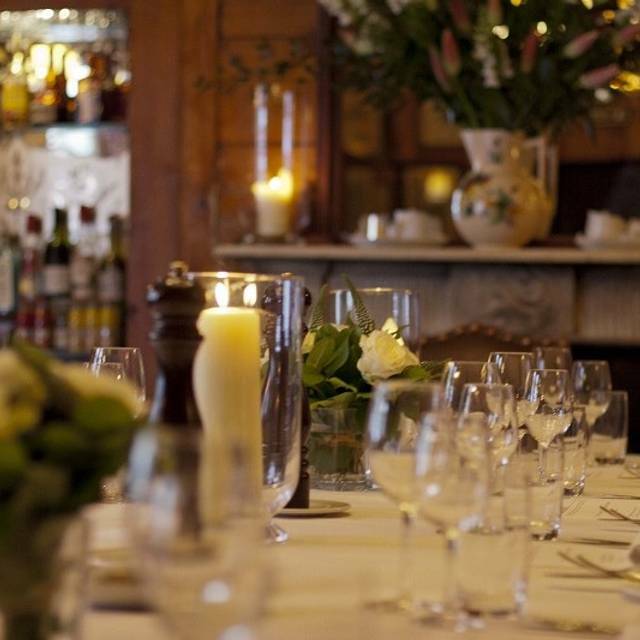 The Guinea Grill is a lovely place for Sunday Lunch. Seating is a bit tight but the service was good and food lovely. A bit pricey, but it is in Mayfair-so to be expected. We had been there in maybe 15 to 20 years and it was a much different experience They always had the best Dover Sole but it is not even on the menu. The beef had no taste and the lamb full of fat. This was a disappointing experience, where there were no salads available at 7:30 in the evening. The meal was OK, but the vegetables poor - only prepared with sauces and nothing steamed. Markedly overpriced. Very close tables with a noisy drunk woman opposite who lifted up her sweater at one point to reveal all! Not nice. Meat pie was tasty, but I can do as well if not better myself. Fish was good quality but again poor value. Wine was extremely expensive for what it was. Lovely waiters working in difficult conditions. So 5* for service and 2* for the rest. No privacy, noisy and over-priced. Great little restaurant. Good wine list. And fabulous food and service. Quirky rather than classy. We always enjoy the Guinea when in London. My wife enjoyed her fillet steak and my snake and Pygmy was very tasty. Service was excellent it’s just that tables are rather close together. Whenever you go to the Guinea, you always win - great staff, food and wine list, to suit all pockets. The food took one hour to come because there was a new chef cooking the pies, but to make up for it, the Guinea gave us our entire lunch on the house. Incredible. 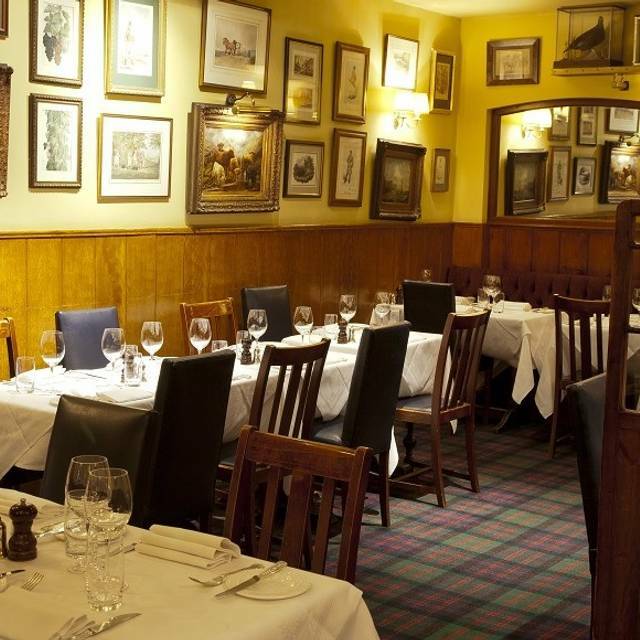 A perennial favourite Gastropub in Mayfair, the dining room has a Dickensian feel, the food is straight down the fairway but very well cooked. The oyster are a bargain, the steaks are perfectly executed, the wine list is expensive. Overall this Inn is a gem, amongst the high end but not so good dining scene in Mayfair. The food is superb. Never disappointed. The service is excellent. My martini was great! We go back to this restaurant every time we’re in London. It’s that good! The Guinea is a great spot for a proper pint in the pub followed by a nice steak dinner in this authentic setting. The staff is warm and welcoming. It is a great place to enjoy dinner with friends while in London. The starters were only average, in particular the crab cocktail which had a strange taste and the asparagus which was disappointing bearing in mind this IS the asparagus season. The filet steak and the steak, kidney and mushroom pie were both very good and well cooked but the side dishes of cauliflower cheese and mashed potatoes were just ordinary. Service was pleasant and attentive. 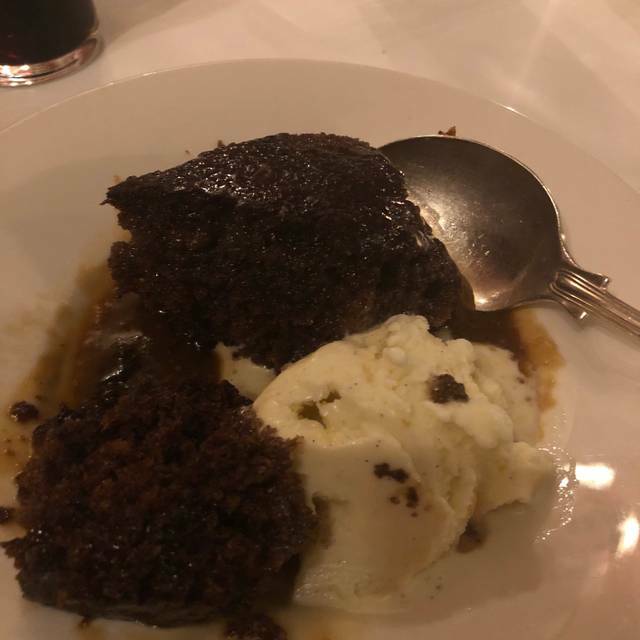 Overall, we felt our our meal was expensive for what it was and disappointing in a dining room that was virtually empty and which we found to be characterless. We do not intend to return. This was my first time eating at the Guinea. It was a pleasant experience and the food was nice. Service was very good. First time here & really enjoyed it. Steak melted in my mouth & perfectly done. Wine was good. Only issue was space & felt cramped at our table but can’t really expect anything else given venue location & building. Plan to go back soon enjoy several more times. Food was fabulous, the staff were friendly and attentive. We very much enjoyed our Sunday roast. The food and portions were devine!! Thank you to everyone there. So friendly and comforting. This was a great find. On Easter week when pubs were shut stumbled upon The Guinea in Mayfair. This is a steak house for steak eaters dressed in appropriate Mayfair livery, literally. 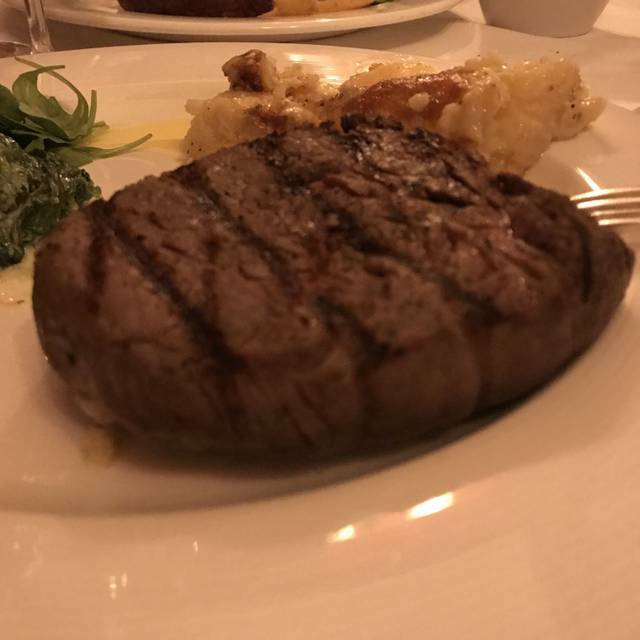 The ambiance was sublime, the steaks were done to perfection and the way that were ordered, service was attentive but not over the top. This was the second time we went to the Guinea as we felt that it was the best and friendliest restaurant that we went to and that includes the Ivy and its Dover Sole Meuniere that is nearly off this planet. P.S. The Guinea did not have the Open Table reservation but were still able to fit us in. . . . thankfully. Excellent service with a good choice of fish, meat and of course their pies and the wine list also has the right balance for everyones taste and price. Food service and atmosphere were very good. Just a littlest cramped. Wonderful welcome in this old school restaurant with a very friendly relaxed ambience. Excellent for a traditional Sunday roast with plenty of other choices besides. Chef Oisín Rogers and his staff do a great job. Check out the prawn cocktail too! Another great meal and evening at the guinea. Staff are fantastic and the food is delicious. Overall a good lunchtime dining experience. Good quality fare and would be happy to recommend. Noisy, clumsy service, overpriced food and astronomically overpriced wine. Wouldn't recommend it to my worst enemy.